Yesterday North Dakota became the first state in the Union to pass a personhood ammendment that covers humans in their embryonic stages of development. Read it here at HuffPo. For all the work involved in getting to this day, the easy part is over, and the real fight lies ahead. While this amendment is beautiful in its absolutist elegance, it presents the Pro-life Movement with a constellation of challenges in selling this proposed amendment to the North Dakota voters who must now vote to ratify it. That won’t be an easy sell when the voters move past the noble principle and consider the specific applications in the lives and reproductive health of North Dakota’s women. The first objection that will need to be overcome is what is to be done in the case of ectopic pregnancy, which occurs at a rate of 19.7 per 1,000 in North America. This is no small question, as even pro-lifers are split on the approach to this potentially fatal condition. All would agree that it is out of tyhe question to sit back and let nature take its course. Read here for a good article about ectopic pregnancy. 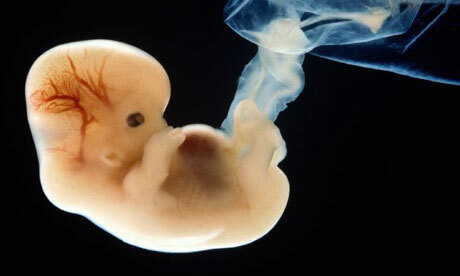 While many case spontaneously resolve, with the embryo being resorbed by the mother’s body, many do not. In the case of tubal pregnancies there are two basic approaches, only one of which is morally acceptable to Catholics. The first, and morally unacceptable method, is to treat the mother with drugs such as methotrexate, which target the baby for death. Proponents of this method prefer it, as it preserves the Fallopian tube for future pregnancy. four conditions [need to] be met if the action in question is to be morally permissible: first, that the action contemplated be in itself either morally good or morally indifferent; second, that the bad result not be directly intended; third, that the good result not be a direct causal result of the bad result; and fourth, that the good result be “proportionate to” the bad result. A question that arises is whether Catholic pro-lifers are willing to endorse methotrexate over salpingotomy in the case of ectopic pregnancy. If not, count on the other side arguing that we are trying to force our morality on the public through this amendment. When asked, how will we respond? Will fidelity to our moral compass fracture the absolutist tone of the amendment’s language? If so, what other concessions will be sought and made? How rapidly will personhood be eviscerated? These questions require answers now, today, as North Dakota voters are forming their impressions as we speak. More potential objections and exceptions in Part II. The Personhood Debate: Myopic Vision v. Recklessness, or Pragmatism v. Principle? To those disappointed with the bishops, I ask that we stick to the facts and keep the tone civil. They are the Apostolic Successors, and as St. Paul enjoins us, we must love them because of their office. We can fight like hell at the same time, as families will do, but I respect their office and will not permit disrespect here. So, that said, let me pick a bone with my beloved bishops. I have read their position, that they support personhood in principle, but that prudential judgement makes them pass on backing this legislative movement. The fear is that a personhood amendment might be overturned in the courts, leading to a reaffirmation of Roe, and threatening the extant pro-life legislative victories that were hard-fought and hard won. I don’t get that reasoning, and sincerely welcome a lawyer to explain the mechanics that would bring about the implosion the bishops fear. As I see it, a reaffirmation of Roe will last as long as the pro-Roe majority on the Court; a see-saw battle that I expect to rage for decades to come. But how does an affirmation of a law already in force destroy our pro-life legislative victories that have been won while Roe has been the law of the land? How is it that these laws have passed in the shadow of Roe, but placing an exclamation point after Roe would present such an existential threat to us? I simply don’t see that. Next is the argument that personhood may not be the best strategy for defeating abortion. Perhaps. But this, I think, is a form of myopia that comes from focusing on the single issue before oneself and not being able to see clearly the other issues beyond that one issue. Personhood encompasses all of the life spectrum and speaks to the issue of one’s fundamental human identity, dignity, and standing under the law. I think we make a colossal error when we speak of personhood only in terms of abortion. Buck v. Bell has never been overturned to my knowledge, and I don’t think it a stretch to say that we’ll see efforts at some not-too-distant point to forcibly sterilize the mentally handicapped. With autism being diagnosed in 1:112 children and the expense in treating these children bankrupting school districts, sending property taxes through the roof, do the math. Then there is the rapidly accelerating pace and scope of euthanasia in Belgium and the Netherlands, among others in Europe. The mentally ill are now being euthanized without their knowledge or consent. It’s getting frightening. How long can we look at these things from the safety of our shores and not be affected? We already have states with physician-assisted suicide, which is how euthanasia gains a toe-hold. State-run healthcare in Oregon comes with letters to advanced cancer patients denying life-extending drugs and offering physician-assisted suicide instead. Personhood covers them all. While we dither on the front end of the life spectrum, a wildfire is growing out of control on the other end of the life spectrum. Pro-life had better mean more than just anti-abortion, and while one needs to pick one’s battles carefully and focus to be effective, the bishops as a body do not have the luxury of myopia. All sound exactly like the voices of reason that tried to assuage the abolitionists of their righteous determination, and like those who pleaded with ‘Negros’ and ‘Coloreds’ to bear their lack of equality with stoic acceptance during the decades before the Civil Rights Movement. But our Black brothers and sisters taught us well that justice delayed is justice denied. In the personhood fight, it isn’t just the pre-born babies we’re fighting for, but ourselves, our handicapped, our sick, our elderly. There seems to be an unhealthy dose of myopia on both sides of this issue. If we aren’t careful, it is a myopia that will prevent us from seeing the chains waiting for us all down the line. There is a curious divide in the pro-life movement between those who support the various Personhood initiatives, trying to get legal language that recognizes human embryos as human persons. The Catholic bishops have come out against these initiatives, though I haven’t heard a cogent explanation as to why. A Case for Embryo Adoption? The issue of embryo adoption, having leftover embryos frozen in liquid nitrogen thawed and implanted in an adoptive mother’s womb, is a thorny subject in Catholic moral theology and ethics circles. I’ve wrestled with this idea for years, and I think we need to continue attending to it in a serious and substantive way. In order to keep the conversation localized, may I ask FB folks to post their comments directly here, and then copy them to FB? The Congregation for the Doctrine of the Faith has issued Dignitas Personae (DP), which tackles the morality of IVF and addresses the issue of embryo adoption. It’s a short document and an easy read. I recommend it highly. Disclaimer: From the outset, I do not presume to know more than the bishops who have contributed to the promulgation of the document. However, the Church collaborates with physicians and scientists when investigating these matters and pays close attention to the insights coming from science. So I offer these insights as a lay Catholic, educated deeply in the faith, as well as a molecular biologist. “The human being is to be respected and treated as a person from the moment of conception; and therefore from that same moment his rights as a person must be recognized, among which in the first place is the inviolable right of every innocent human being to life” (n. 4). “The origin of human life has its authentic context in marriage and in the family, where it is generated through an act which expresses the reciprocal love between a man and a woman. Procreation which is truly responsible vis-à-vis the child to be born must be the fruit of marriage” (n. 6). With regard to the large number of frozen embryos already in existence the question becomes: what to do with them? All the answers that have been proposed (use the embryos for research or for the treatment of disease; thaw them without reactivating them and use them for research, as if they were normal cadavers; put them at the disposal of infertile couples as a “treatment for infertility”; allow a form of “prenatal adoption”) present real problems of various kinds. It needs to be recognized “that the thousands of abandoned embryos represent a situation of injustice which in fact cannot be resolved. Therefore, John Paul II made an “appeal to the conscience of the world’s scientific authorities and in particular to doctors, that the production of human embryos be halted, taking into account that there seems to be no morally licit solution regarding the human destiny of the thousands and thousands of ‘frozen’ embryos which are and remain the subjects of essential rights and should therefore be protected by law as human persons” (n. 19). It other words, we have a mess on our hands. Many respected leaders in the Catholic bioethics community such as Dr. John Haas and Father Tad Pacholczyk (who also has a Ph.D. in molecular biology) have come down against embryo adoption, as it is a participation in the broader realm of IVF. 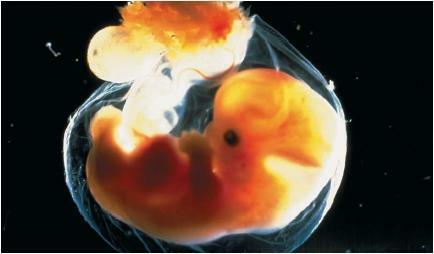 To read the case against embryo adoption by Father Tad, click here. These are great minds whose words are not to be taken lightly. However, there seems to be another dimension that has been overlooked, and that is the issue of procreation itself and God’s role in it. IVF is intrinsically evil. It takes procreation out of the marital embrace and relegates spouses to mere tissue donors and sideline spectators as the technicians do the actual work of bringing sperm and egg into union. However evil this technology is, there is a more delicate question that I have regarding God’s role in all of this. The Church does not maintain that we all existed as disembodied spirits before our conception. We are created (soul) when we are conceived (body). That’s why the procreation of children in marriage is such a grace-filled moment for spouses, because God is there, freely creating the soul as the parents unite themselves. But what happens when a woman is raped, or two individuals fornicate, or IVF is employed? What are the degrees of freedom on God’s part? Is God bound by His own paradigm for human procreation? Is He dragged kicking and screaming into the evil means by which sperm and egg find one another? Does He not create freely, though perhaps reluctantly under such circumstances? The fact remains that God creates a human soul when sperm and egg unite. That fact is my dilemma. God is there in the IVF clinic, creating a new human soul (dozens at a time, actually). He is participating in a procreative act that is occurring outside of His divine plan, and which in its human dimensions is intrinsically evil; but He is there, and He is creating. Now we return to the first of the two guiding principles in DP. The first right of the IVF baby is the right to be respected as and treated as a person. That right means facilitating the unmolested development of that individual. If implantation in the womb is to be forbidden in all circumstances, then I fail to see the point of the Congregation mentioning this first principle. What we see a great deal of is the condemnation of the technique, which is truly abhorrent. However, I think there is a great distinction to be made between the technology leading up to the creation of a new human being, and the technology employed to sustain those new human beings. The former is always gravely and intrinsically evil. I’m not so certain about the latter. The great distinction is that life has been made, both by man and by God. The act of procreation is done, and a child exists in its most nascent form. From here we have a battle of principles, and again, Father Pacholczyk’s points are well made. However, I see a certain chilly aloofness in standing by and saying of so many thousands of baby’s, “Gee it stinks to be you.” Catholic moral theology demands greater than that from us if we truly believe that the human embryo is a human being endowed with a soul of God’s making. I don’t disagree at all with the imperative in that statement. The problem is that it does not account for the child conceived outside of that principle. What then? We are dealing with much more than sheep here. If God freely creates the soul in the midst of such human evil, do we not have an imperative to honor that creative act by facilitating the child’s development through implantation and adoption? It isn’t perfect, but I think we do. Chris, a commenter in the embryonic stem cell post passes along these great quotes from medical texts. Many thanks Chris! If that can be said with such certainty of one vertebrate, it can be said of all vertebrates. Hope these are helpful. We’ll be building on them in the future. In light of our ongoing treatment of Sanger and the Eugenics Movement, it’s fair to ask if the eugenists have any merit to their argument. From a Christian anthropological perspective, the least among us is made in the image and likeness of God. Jesus tells us in Matthew 25 that He will judge us by our treatment of them, as He identifies with, “the least of these my brothers”. As for the genetic basis of their argument: genetics or environment?, the safe answer is probably both. 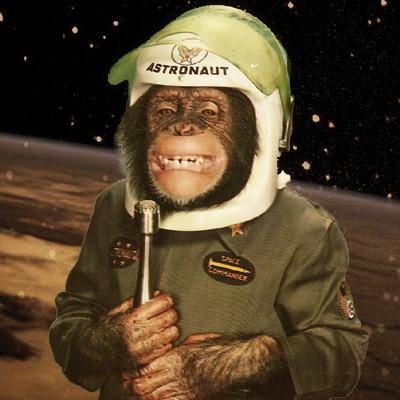 We can train a chimp to play golf and even fly a spacecraft, but that doesn’t make it human. 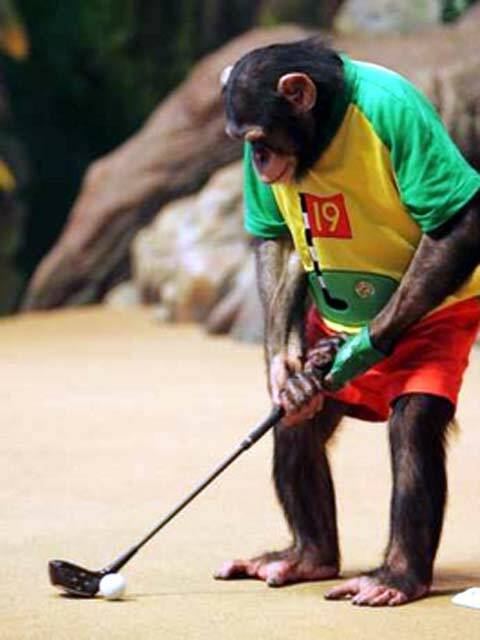 Aping (pardon the pun) human behavior does not change genetic and simian reality for the chimp. For humans whose genetic defects render their function as less than optimal, sub-par performance does not make them less human, or less worthy of human dignity. An individual need not exhibit or realize all of their potential functions at all times in order to be a member of the human family. We know that certain traits are hereditary, having identified what genes on what chromosomes are responsible. Down Syndrome is the most famous and easily recognizable based on physical (phenotypic) characteristics. Certain psychiatric conditions such as the Schizophrenias appear to have a genetic etiology. Autism may well prove to be genetic as well. I’m currently involved in a research project that points in that direction. To make matters murkier, to what extent do environmental (physical or psychosocial) factors influence, or exacerbate underlying genetic predispositions? Then there is the issue of the extent to which environmental factors influence and ameliorate the physiological and psychological effects of a genetic disorder. Take autism as an example. Children with horrific deficits in communication, with a broad spectrum of associated developmental delays, would easily fit in to the eugenist’s list of targeted individuals. It’s my considered opinion that there is indeed a genetic, developmental defect at the root. With a prevalence in the population that is increasing, a moral and ethical decision needs to be made. What do we do with these children? Having one myself, the answer is simple. Treat them. The last decade has witnessed a revolution in the treatment in children with autism. Better speech therapeutic regimens, as well as social skills, special education, physical and occupational therapy, play groups, have all shown dramatic effects in children whose function was less than half their chronological age. Unlike our chimpanzee friends here, these children are humans, being taught human skills. The environmental stimuli effect neural development to bring the child’s behavior and cognitions more in line with optimal human function. That’s environment being used to overcome genetic defect. We’ve had great success after six years of daily work, several hours per day. We’ve also learned more about love in the process than we ever dreamed imaginable. That doesn’t happen with sterilization and abortion. Eugenics proclaims that life has a monolithic standard of acceptability, that individuals not meeting its arbitrary and capricious standard ought never to have existed. Unable to murder the adult, eugenists will prevent the child. Such a standard says nothing about the targeted individual and everything about the sickness and evil of the ones who crafted it. Genetics doesn’t describe our difficulties so much as it invites us to engage in growth as individuals, as civilizations. That requires courage, imagination, and an appetite for innovation. Most of all, it requires love.